The muzzle crown is the last point of contact between the barrel and a fired bullet. A perfectly consistent, concentric crown allows propellant gases to disperse evenly. Any defect in the crown will result in uneven lateral forces on the bullet, causing it to yaw, which ruins accuracy and repeatability. Our piloted Crown Tools form a precisely concentric muzzle crown. They are manufactured from M42 steel for years of trouble-free cutting. The removable pilot design allows for accurate use in a lathe or with a T-Handle. This specialty Crown Tool is available only with #3 pilot. 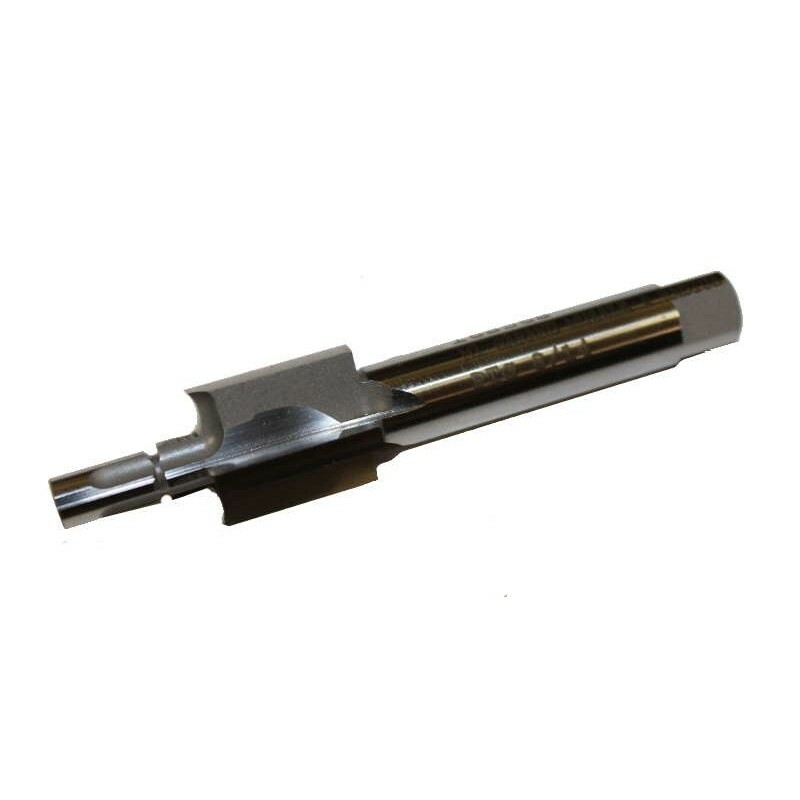 It will work in any .30 caliber (7.62mm) barrel, except bull barrels where the wall thickness of the barrel is greater than the length of the cutting flutes. There has been some confusion over "pre-1964" and "1964" Crown Tools for the M1 Garand. Part of the confusion stems from the fact that M1 Garand production ceased in 1957. Another confusing factor is that the "1964" Crown Tool generates a three-faceted crown which matches the original M1 Garand, whereas the "pre-1964" Crown Tool generates a radius crown rarely seen on original rifles. The reason for these confusing designations is the manufacture of after-market replacement barrels for the M1 Garand. Until 1964, replacement barrels were manufactured with a "V-shaped" radius crown, based on a military specification. After 1964, automated machinery was able to economically replicate the original three-faceted crown. The radius (pre-1964) crown may have slight advantages in accuracy, ease of cleaning, and ruggedness.